The central monument of the classical Acropolis, the Parthenon, had been venerated as a monumental religious building for centuries (despite the radically different religions successively practiced in it). But until the 18th century this veneration was only shared by the small provincial local community. It was only in the 18th and 19th centuries with the reorientation of Western thought that the Parthenon was recognized as probably the supreme architectural model of a superior historical epoch against which all later achievements could be measured and compared.4 Ever since, the Parthenon was to have a lasting impact on architecture worldwide. But the ruined carcass that so impressed Le Corbusier in 1911, was something quite different from the glorious temple built by the affluent and cultured Athenians 24 centuries earlier. A long and complex history had left many scars on the building as well as on its settings. Today many elements of the Parthenon are widely scattered in museums worldwide with a significant part located in the British Museum in London. In 2009 the New Acropolis Museum was inaugurated in Athens, designed by B. Tschumi and M. Photiadis specifically to house the remaining archaeological elements from the whole Acropolis complex. For the past 25 years there has been an ongoing debate on whether the surviving architectural and sculptural elements of the Parthenon should be reunited and exhibited as a whole, as was the original composition of the temple.6 Many lines of argument have been employed on either side, but this paper will only focus on the expressed requirement of the particular exhibits to be understood in the context of their total composition. For this purpose this project will employ 3D projection technology in order to propose a new methodology for the presentation of individual museum exhibits that originally formed parts of a larger architectural composition. Whereas the Acropolis Museum has employed plaster casts to fill the places of the missing sculpture, the British Museum displays its sculptures individually, in rough (but reverse) analogy to their original location on the temple.Apart from a small explanatory stand at the gallery entrance, no attempt has been made to provide a context to the sculptural figures. The rationale of the exhibition is that of a sculptural collection rather than one of architectural elements of a single building. It will be hereby attempted to explore the possibilities offered by a 3D projection of the missing context, so that the BM’s Parthenon Gallery’s original exhibits may be related to the other surviving pieces of architecture and sculpture from the same monument, and also to the original design of the whole temple building. 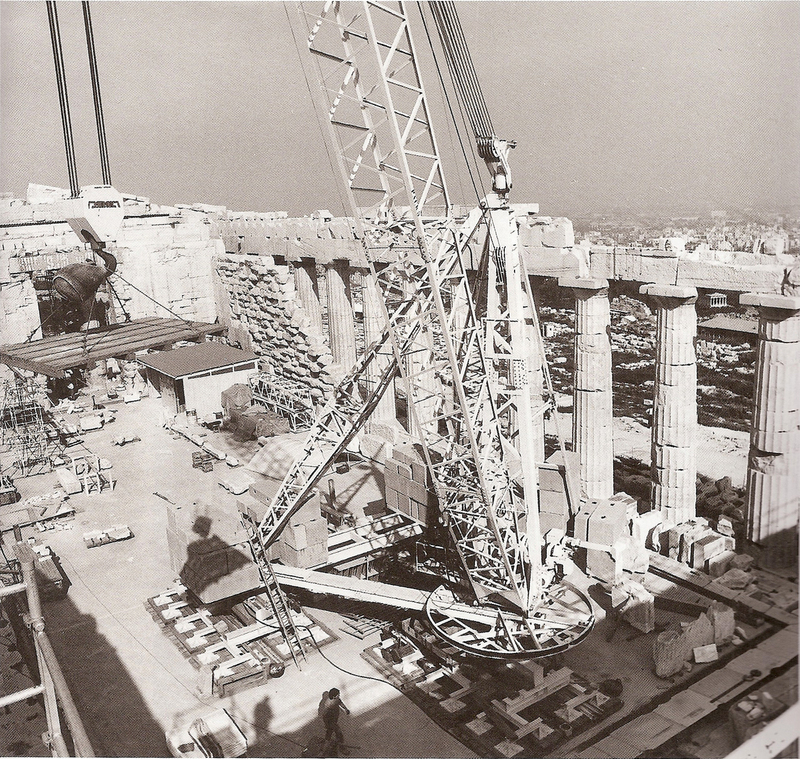 In short whereas the Acropolis Museum used a hardware solution, here a software solution will be attempted to present the Parthenon in its entirety. It will be argued that software projection technology may provide infinitely more possibilities in exploring different theories about how the Parthenon originally looked like, and also to follow its organic evolution through various phases of its history. And all this without causing any permanent intervention or irreversible damage to the relics.